GReads! : Three's Company at GReads! Since I began this book blog I've always enjoyed participating in Waiting on Wednesday, hosted by Jill at Breaking the Spine. It's something I'll continue to do, but I wanted a separate place to feature the Adult books I am anxious to read in the coming months. I will choose three books to feature each time this post comes around, every three months. I look forward to sharing some Adult books I am eager to read and hope to put them on your radar as well. New York Times bestselling author Jill Shalvis continues with the ninth installment in her beloved Lucky Harbor series. Let me know in the comments if any of these three sound like something you might read. Since I'm a huge fangirl of the Lucky Harbor series, you know I'll be reading her latest when it comes out! Oh my goodness, Sweet Talk Me sounds so perfect. I've been in the mood for something sweet, and I LOVE stories set in the South. March can't come fast enough for me! Yay for a fun new feature! I just got approved for Once in a Lifetime and I am PUMPED to read it! Great choices! I haven't started the Lucky Harbor series yet. Too many books and not enough time, lol. Mary Ann Rivers 'Live' sounds particularly promising and actually gave me chills when I first read the description. I pre-ordered it the instant I was finished with the synopsis and now I'm going to be counting down the days until the 21st and its release. It sounds exactly like the sort of book I enjoy, and I'm so thankful you introduced me to it! 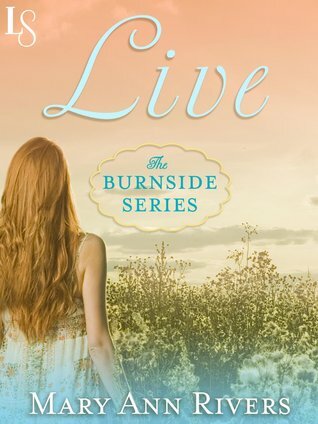 I was lucky enough to read early copies of Once in a Lifetime and Live, and I enjoyed both! Have you read the other Lucky Harbor books? Once in a Lifetime is probably my favorite of the series! Yay! I'm so excited about this feature + looking forward to it! Glad it all worked out. 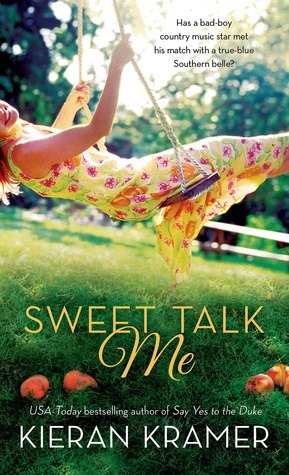 I still cannot get over the dress on the cover of Sweet Talk Me but I still really want to read the story. :) I'm glad you're doing this, I feel like your adult picks are always spot on for me!